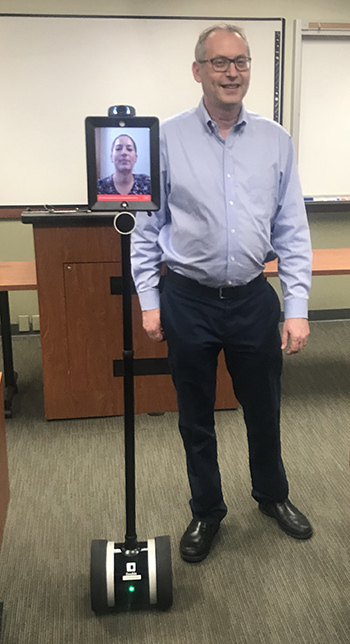 University of California at Irvine School of Law professor Rick Hasen teaching torts with Tess Messiha on the robot display in attendance. A pregnant 1L at the University of California at Irvine School of Law used a robot to remotely attend her classes after being prescribed bed rest for the first three weeks of the spring semester. 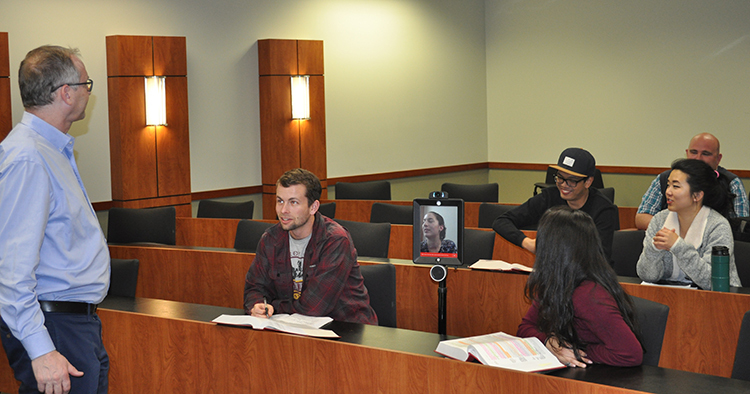 The Double 2—the telepresence robot used by student Tess Messiha—gives its user total control over its movements. The user maneuvers it remotely through an application that also acts as a videoconferencing device. During her bed rest, Tess Messiha controlled her Double 2 from her computer at home. Many of her classmates were shocked to see this technology being implemented in the classroom. But the robot quickly grew on students and professors for its capacity to allow Messiha to interact with the class. Although Messiha was initially nervous about how it would all work out, she ultimately had a very positive experience with the Double 2 and did not miss a single class during her bed rest. Because her first child had been born prematurely, Messiha’s doctor put her on bed rest 32 weeks into her second pregnancy. When she realized that this would cut into her spring semester, she immediately reached out to the university to figure out what her options were. 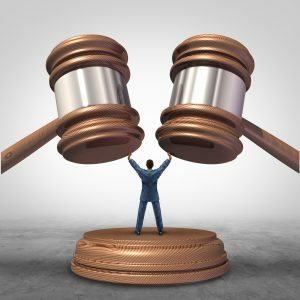 She had thought she would either have to rely on lecture recordings or even take a leave of absence; she never knew about the Double 2 until the UCI Disability Services Center presented the option. This isn’t a first for UCI; A nursing student remotely attended classes via a Double 2 last fall because of a disability that prevented her from being physically present. In fact, UCI’s Class of 2016 used their senior class gift to buy four of these telepresence robots for the university, which have also been used by PhD students to research the use of telepresence robots in K-12 education. Messiha was able to get off bed rest at 37 weeks and return to classes. She gave birth to her second son on Feb. 8 after almost 40 weeks of pregnancy.